Ryan Miller is the Vice President of Engineering for Thrift Development. Miller graduated from Clemson University with a Bachelor’s of Science degree in Civil Engineering in 1997 and is a registered Professional Engineer in South Carolina. Miller has more than 20 years of experience in construction and engineering, including 15 years of experience with the South Carolina Department of Transportation (SCDOT). During his tenure with SCDOT, he served as a project manager and resident construction engineer in Anderson, Spartanburg, Greenville and Oconee Counties. 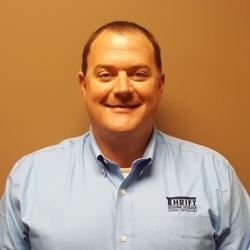 Miller joined Thrift Development in 2015 and oversees all of the engineering and estimating operations. Miller lives in Piedmont, South Carolina with his wife, Juli, and their two daughters, Kirsten and Allison. He enjoys boating, movies, sports and helping coach his girls’ softball and basketball teams.